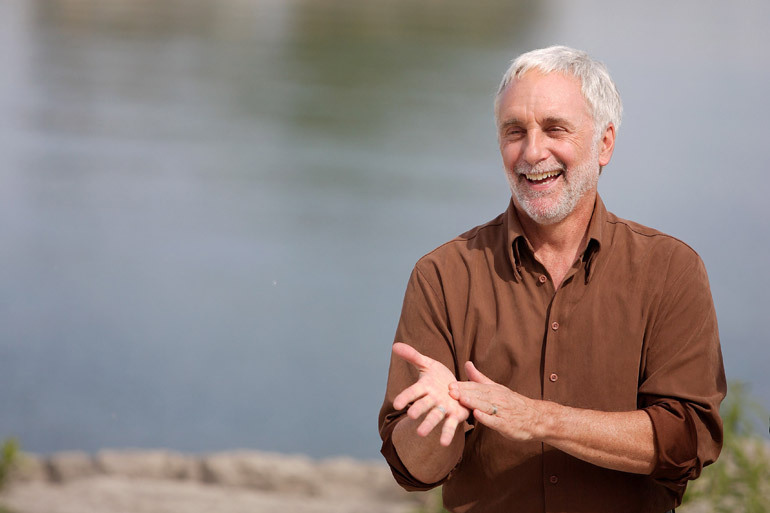 Discovery Channel’s Jay Ingram will talk about Alzheimer’s disease at a special presentation March 20, at the Kelowna Community Theatre as part of Embrace Aging Month. For the past five years, March has traditionally been set aside as a time to celebrate growing old, while also getting pointers and tips on how to embrace the process. The aim is to inspire and inform the community on steps everyone can use to age well—both mentally and physically, says UBC Professor Joan Bottorff. Bottorff, director of UBC Okanagan’s Institute for Healthy Living and Chronic Disease Prevention, says not only are the number of older adults in BC increasing, but they are living longer than anywhere else in Canada. Topics such as the science behind sleep, technology tips, fraud prevention, maintaining mobility, understanding arthritis, and introductions to Pickleball and PokemonGo for older adults are a few of the events organized for March. Along with those activities, organizers have planned a special presentation by Discovery Channel’s Jay Ingram. Ingram will be in Kamloops, Kelowna and Oliver in mid-March, where he will address the three questions everyone has about Alzheimer’s disease: Will I get it? What can I do to reduce my chances of getting it? And if I do get it, what happens then? His Kelowna presentation takes place Wednesday, March 20 at 7 p.m. at the Kelowna Community Theatre. The month is co-hosted by the Interior Health Authority and Interior Savings. Kathy Conway, Interior Savings’ CEO, hopes the calibre of speakers and wide array of topics will help move the needle on building a more connected and age-friendly community. A full list of events is available at okanaganembraceaging.com. All events are free; however, registration is required. The IHLCDP is a research centre based at the UBC’s Okanagan campus. It encourages and supports research that brings the community and the university together to generate and use new knowledge for the benefit of individuals, families and communities. Interior Health is committed to promoting healthy lifestyles and providing a wide range of quality health-care services to more than 740,000 people living across B.C.’s vast interior. Interior Savings is a member-owned, democratically-controlled credit union dedicated to creating local money while helping to build vibrant communities. The credit union offers personal and commercial banking and a full range of insurance and wealth management services to more than 70,000 members across 14 interior BC communities.